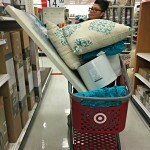 Making Our House a Home with Target. Fall is a special time of year, it’s a season that signifies change and illustrates it through the changing leaves that burn bright red and orange. The crisp air nips our cheeks and we cozy up against a nice warm sweater or scarf. It is hands down, one of my favorite seasons. Especially a great time to spend with my family by visiting our nearest apple orchard or pumpkin patch and prepare for the upcoming holidays. We are finally living in our forever home, it is perfect for our family and everything we need and more. With life and work, I admit I haven’t added the warm loving touches that a home needs. In fact, a lot of them are packed away in boxes since we’ve decided to change the theme of our home altogether. Target invited us to go shopping and make our house, a home. We set off to Target and decided we would focus on the rooms that we spend most of our time in as a family and that we frequent most. So, our living room is where we munch on snacks and watch TV together, it is also a place where we have guests and enjoy good conversations. A little pop of color would do a world of good! So, we were on the hunt for items that can transform! Our main bathroom is a place where I soak in our tub, relax and de-stress. 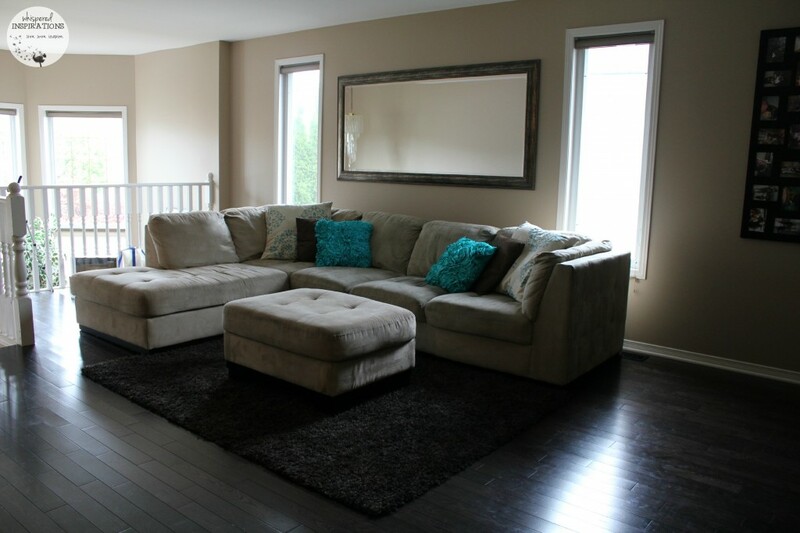 Adding a little bit of antique decor would illuminate this space. Our bedroom is a place where we unwind after a long day, read a good book and on weekends and most evenings, where our girls join us in our bed to cuddle and watch Netflix. A little light goes a long way. Lastly, every day when we come home from school or work, we walk through our main foyer. It can be a bit plain and dreary but, with a little visual added, it makes a huge difference and makes coming home even better. Small Steps to Making a Home. Thankfully, Target did not disappoint with their vast decor options that can fit almost any style. It made our journey a whole lot easier, especially with brands like Threshold and Fieldcrest just to name a few. Above is our entertainment center, though it was lackluster, it did its job. Prior to moving in we had a large and bulky entertainment unit that we got rid of because it was, well, clunky and outdated. We replaced it with a small table for the time being but, never got around to updating it. No one can deny, this area needed work. We scouted the furniture area in Target’s furniture area and we found the perfect piece to satiate our more modern yet rustic and classic taste. 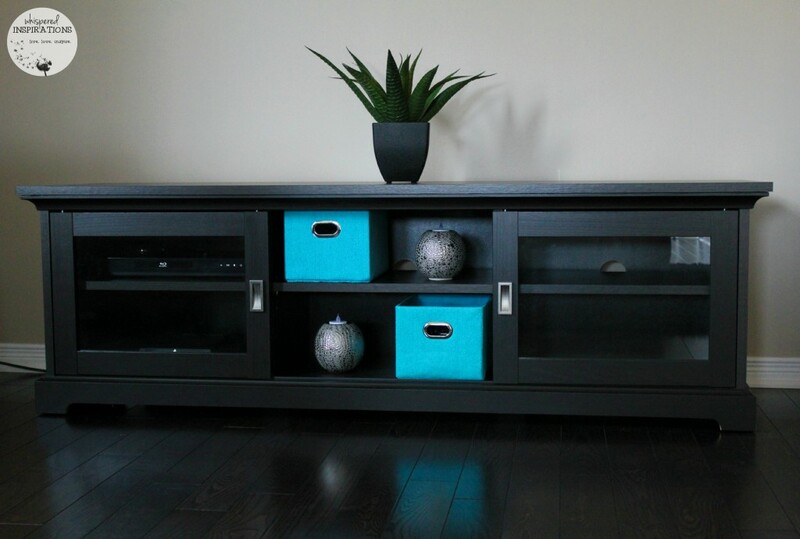 This gorgeous TV stand from Threshold was perfect for our living room. It has sliding doors and plenty of room to place our electronics. Not to mention, there is plenty of room for storage. I also love that it is coffee-grained and perfect color to complement the colors of our home. I added some final touches to perfect our color palette. I love how easy it was to transform this space and it definitely added warmth, we cannot wait to continue to make memories here. As you can see, the front foyer needed a little bit of color. Now when we walk through the door, we are greeted with a gorgeous abstract painting that we found in Target’s decor department. They had so many different types, whether you like abstract, floral or even nautical. They have something for your theme. I tend to like shabby chic and they have a lot of cute wall decorations in this style. 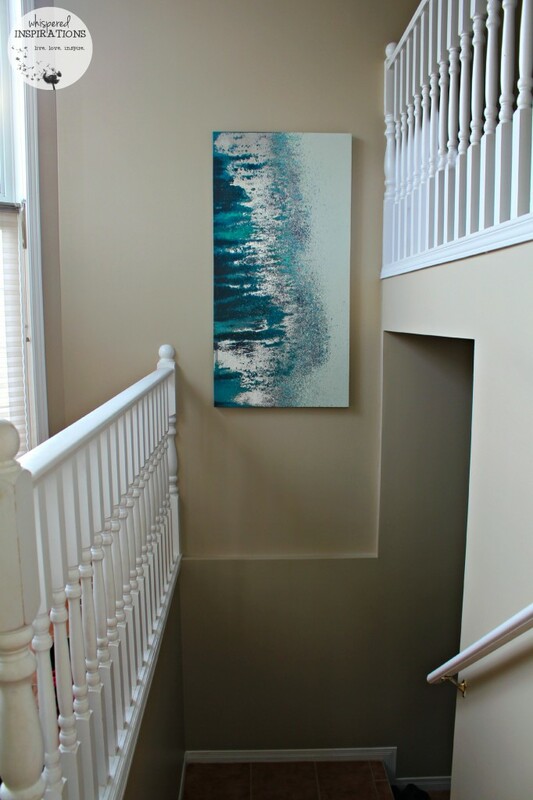 Since we’ve chosen teal to be our accent color, this painting was perfect to add a little life to the foyer. 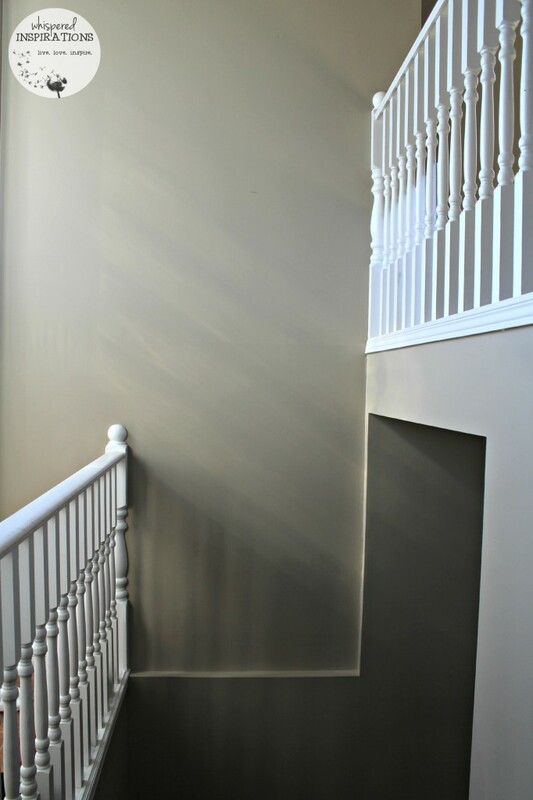 It is a nice focal point leading down to our mud room, later on, I hope to add perhaps another Threshold table below it. A Little Bit of Classic. Our main bathroom is one of my go-to places when I want to de-stress after a long day. Our 6-foot soaking tub makes for a perfect getaway without really going anywhere. It is always great to run a warm bath, drop a bath bomb and just unwind. It’s also a place to do normal everyday things and making them pretty, doesn’t hurt. 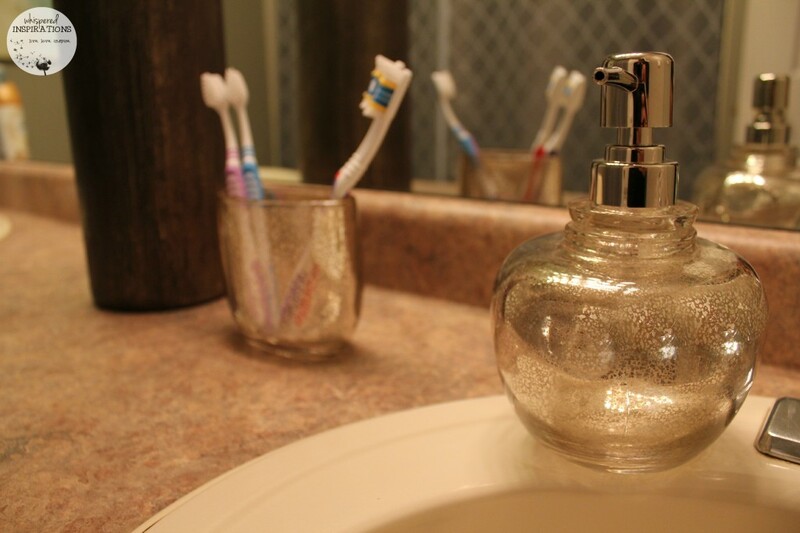 I had a put a little of work in here already but, Target had some gorgeous soap dispensers and tooth-brush holder from Threshold Bath Cooordinates. You can see them pictured above, I didn’t add soap for demonstrative purposes but, they added a little traditional class and the antique finish is what sold me. When I did add soap though, it lights up like a lamp! Every time I walk into the bathroom I breathe a sigh of content. Ahhh. There are still a few pieces that I need to add to our living room but, for the most part. It has been rather plain and I haven’t got around to sprucing it up just yet. 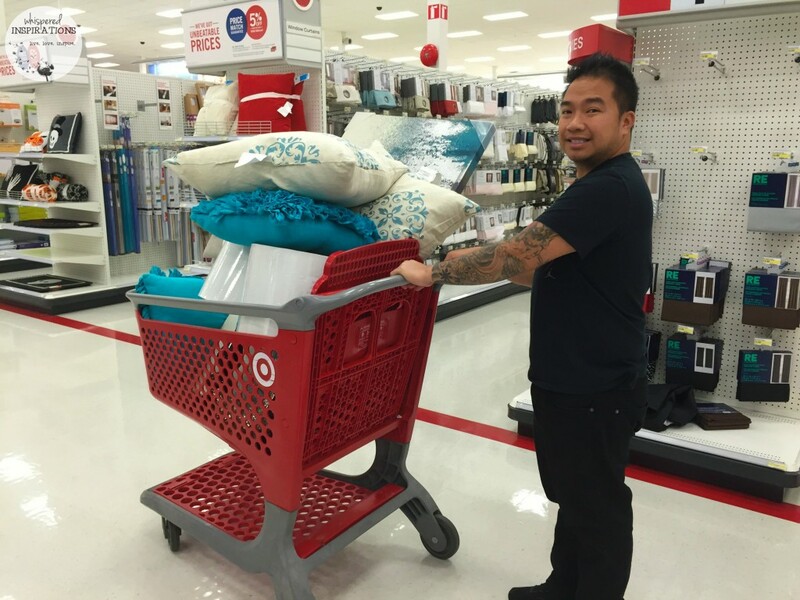 I thought a fast, easy and inexpensive fix would be to raid Target’s decorative pillows and see if I could find something to pretty up the room. I found a gorgeous Jersey Ruffled pillow by Xhilaration in Turquoise. I paired it with some over-sized Seville Toss pillows from Threshold in Turquoise, I then added some brown pillows that I had packed away. Boom, it made it a little more home-y in seconds! Our bedroom often doubles us a theatre or my office, depending on the day. It was in definite need of a visual pick-me-up and lighting. Even though we have a ceiling fan, we still need light that isn’t too harsh. Especially for relaxing or reading a book. It’s great to have them on when we watch a movie together and it doesn’t have to be completely dark. We chose a clean black and white duo, it’s modern yet classic. I love the design of the lampshades when they turn on too. It completely transforms them. When the light shines through, you can see the baroque design. 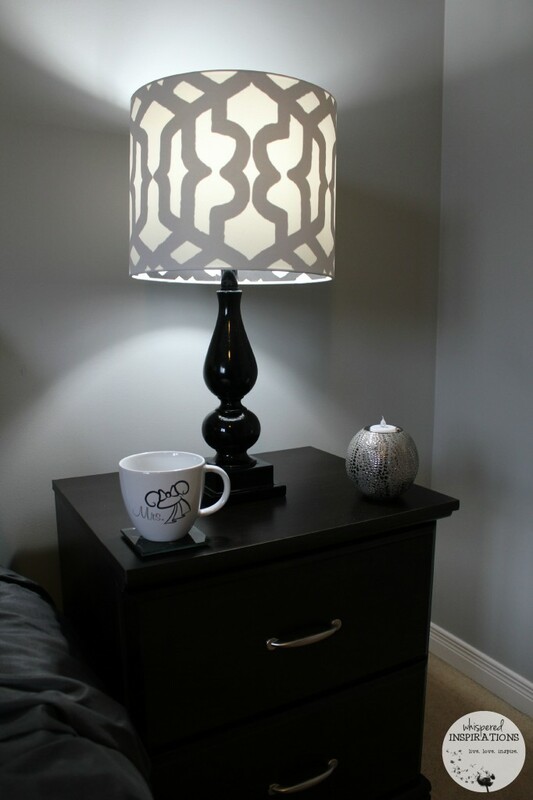 If you want to get your hands on these Threshold Black Lacquered table lamps, head over to Target! Well, there’s only 3 Days LEFT to enter to WIN a $250 Target Gift Card! That way you can transform your living spaces or get a new wardrobe, maybe even decorate for the holidays. The possibilities are endless. One thing is for sure, thanks to Target, we love our new home. It feels more warm, cozy and more like US. There is no doubt that with time, our home will change just like we will too. But, it is always great to have a place to go that will grow with us too. Check out Target Canada for more information about what they offer or you can contact @TargetCanada on Twitter and check out all of their updates, they are awesome! You can even go to http://ThankFALL.com and tell them what you are thankful for! So, what are you #ThankFALL for? Let me know, til then–cheers m’deres? Note: I am part of the Target #ThankFALL influencer program run by The Influential Network. I am compensated for this post but opinions are always my own! Your place looks gorgeous, Nancy! Great accent choices! Thanks so much Freda! 🙂 Small things go a long way. Probably half the stuff in my house right now is from Target. I am always there. I love how the blue you chose adds a pop of color to the neutrals. Have fun decorating your new forever place! Thanks so much Nicole, I do love the neutrals and cool blues! What great items. 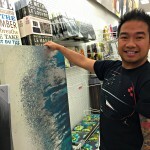 I love the touches of blue that you added and this would go well in my house too. It was easy to pick an accent color. They have all kinds too! Your house look fabulous. I love to shop at Target. 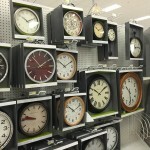 They have so many great things to choose from for your home. They have amazing things to choose from. All color palettes, different styles. Something for everyone. 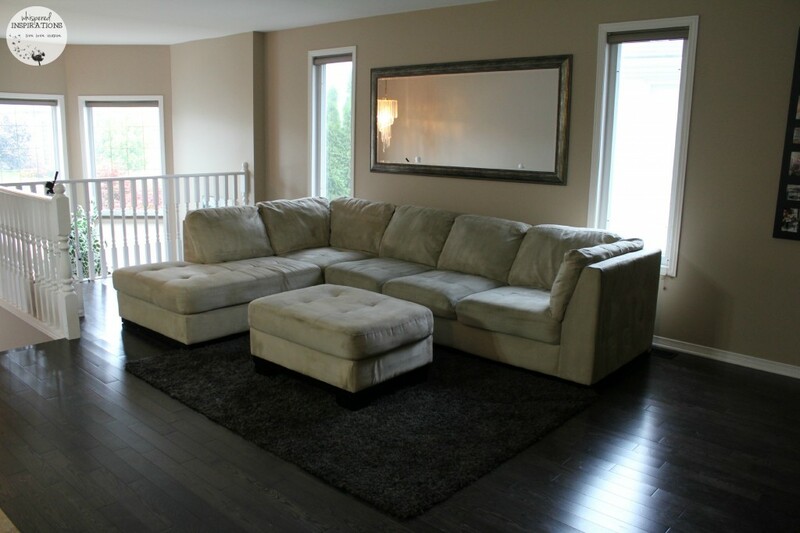 I love when I can find easy to install/durable furniture at a great price. All of Target's furniture is so modern and gorgeous, I forget I can afford it. 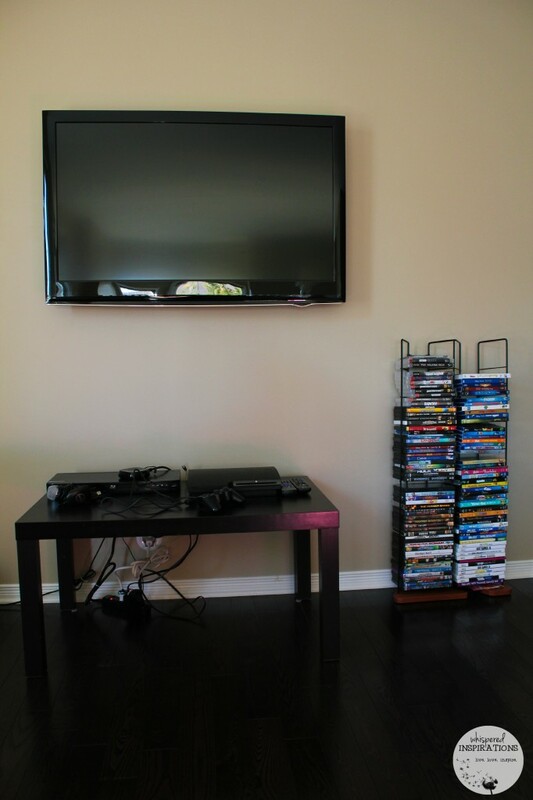 Love that TV stand! 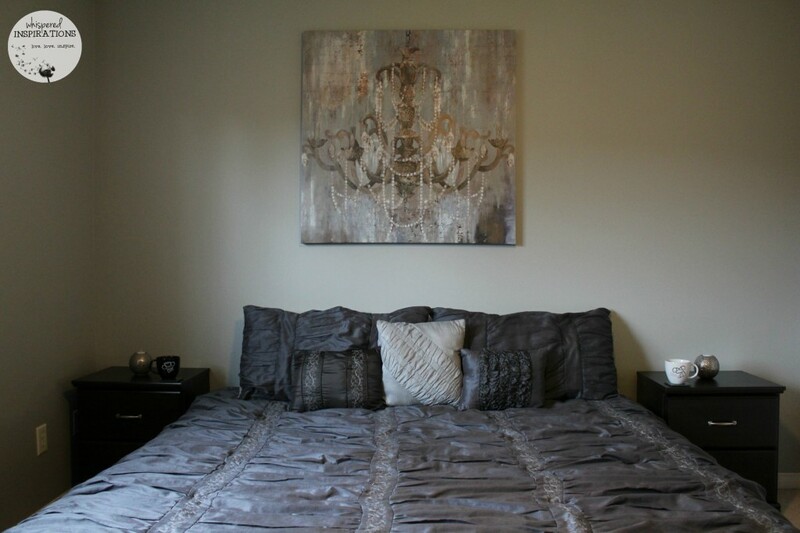 It is gorgeous and really transforms a room, at a great price! I love the little pops of turquoise! It really added to the decor and was really fun without going overboard on effort or price. You've got great style! Thank-you so much! 🙂 You hit the nail on the head with that one! I love all of your changes. The beautiful colors are perfect for fall or anytime of the year! I like how small changes make such a huge difference! They can really make a difference, I like the neutral colors with a pop of color! I LOVE those pillows on your couch and your gorgeous bedroom. 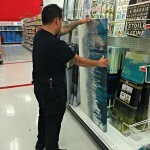 Target is a great place to get items for less money that make a huge impact. And if you use the red card you get 5% off. The REDcard is awesome, you cannot go wrong with savings! EVERY TIME. I love that blue colour it's my fave! Amazing what little touches can do to a room! They can really transform a space, that is for sure. 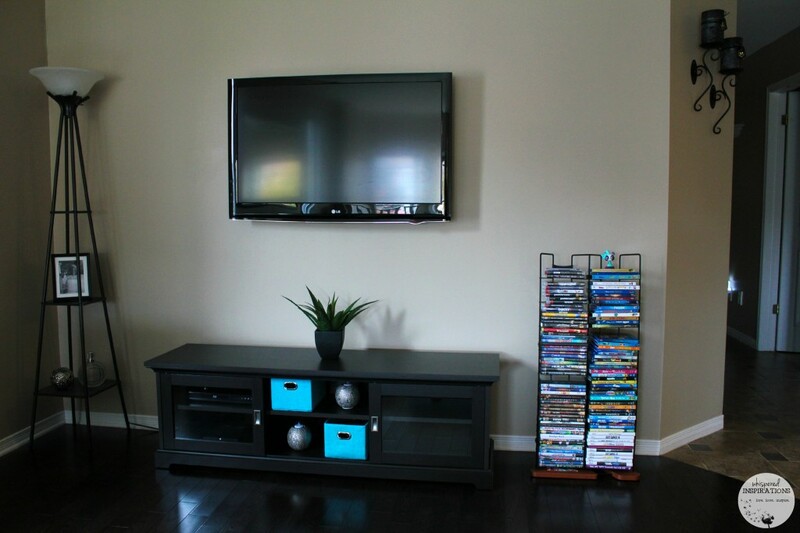 I especially love that TV stand and how you accessorized it. I love everything you got though! It looks wonderful!! I love those lamps! And I <3 Target. I'm ThankFALL (cute) for so many things – my family, our jobs, and our home! What great selections. Love Target because they are a one stop shop! They are a one-stop shop, for sure! I love all the choices you made for your home. Everything looks fantastic. Target has a great selection. Thanks Ann, they do have an awesome selection. Beautiful transformations! I love the pops of color and those lamps! The lamps are a few of my favorite things! Wow, your house looks amazing. I'll be picking up a few of your decors and accents. That looks amazing! I love the blue and black. Target is the bomb.com. Great decor finds. We are doing the same thing. It the little details that make a room complete. It sure is, small things can go a long way! 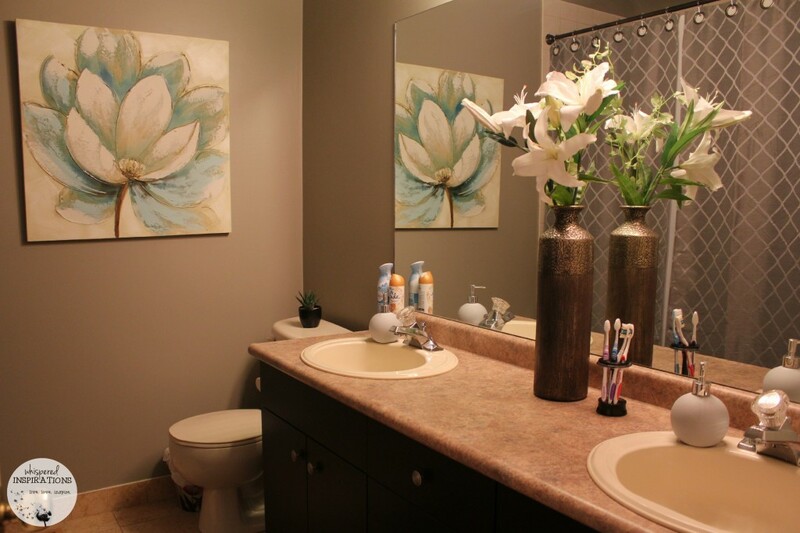 I love the touched of color you added to your house and i really love your bathroom transformation! Fun! What a lot of beautiful things you were able to get for your home. I love the entertainment center. Thanks, we made out like bandits. Great prices! Your place looks great! I shop at Target often! Thanks so much, it is a favorite spot for us. They have amazing things. I love how they have so many different things to suit different styles. Thank-you, it makes a big difference! Your place looks great! I want to paint my walls that exact same color. Thank-you, I love having a neutral color. You can add any color and make it pop. I love target! And your house looks great. I love the lamp. They made the room pop! I love your design choices. Target is the best for everything. Your house looks great. I love what you did with all the gaming stuff the TV stand is nice. 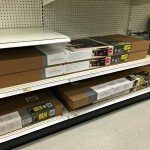 Wow, Target really did help you add some little touches to the spaces around your house. A new picture here, a touch a color there–all adds up to a big difference. Wow looks great. 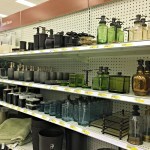 Target really did help you make little touches to your home. A new picture here, a splash of color there–it really makes a big difference. It's amazing what you can buy at Target! SO very true, they have amazing things. Wow! Looks lovely, I'm a big fan of storage containers. Me too, functional yet stylish. Wow you're so lucky to have been invited by Target! Not a lot of people had the luxury to go shopping for the family. Thanks, it is a blessing. You’re my style idol! Picking up some things from Target. Wow – those fixes at home sure looks great and heart warming. Thank-you, it is nice to warm up our home. I love the bedroom lamps and the colored pillows for the couch. You're a great decorator. Yea for Target! I wish I was Canadian so I could enter. We buy a lot of our home decor from Target, love their selection. Your after photo are amazing. Awww, I wish it would have been. Wow you have a gorgeous place. Awesome giveaway. Looks great! Target it my fave!!! Everything you need there! This definitely made the space look a little more home-like. I wish I lived in Canada because this giveaway is awesome! That is simply gorgeous! I love shopping at Target for home decor. Awesome decor and decorating indeed. I love the TV stand it is gorgeous. Thanks for sharing. I love that painting. I could go broke in Target. We visit at least 3-4 times a month! What a cool post! I love that picture you chose for the hall! Beautiful. What a great sense of style. I appreciate your taste. Thanks for sharing! Wow your place is so nice got some very good items.